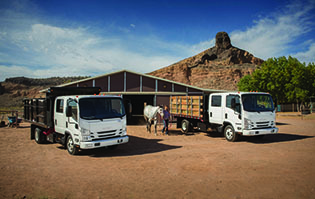 Overhead storage and additional storage in the Standard Cab behind the driver and passenger seats. 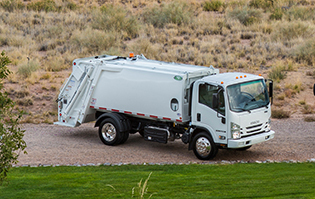 The NPR Diesels trucks provide you with the features you need to help drive up productivity while driving down your cost of ownership. Our engines are legendary for their power, economy and long life. Our frames accommodate a wide range of body applications. 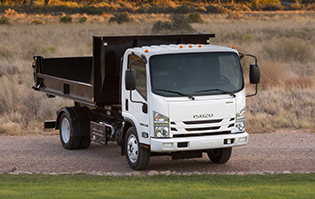 Our low-cab-forward design provides remarkable maneuverability and visibility. 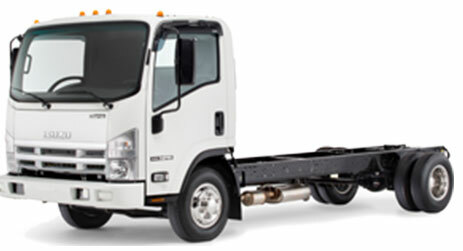 The NPR Gas Truck delivers unsurpassed performance, exceptional maneuverability and a long list of standard features. They are powered by a Vortec 6.0-liter V8 engine that produces 297 HP and 372 ft.-lbs. of torque. This truck delivers that torque at low rpm for effortless pulling power. Plus, there is an optional CNG/LPG capable engine.